Boys: Martin Ashton, John Bailey, Andrew Beale, John Birt. Neil Cole, Peter Cole, Simon Duff, Geoffrey Fieldhouse, Malcolm Ford, Mark Hayden, Anthony Hill, Kenneth Huxham, Christopher Hyde, Robert Jones, Roger Jones, Tony Jordan, John Lace, David Leathley, John Martin, Angus Pimblett, Kevin Price, Terry Samuel, John Stirrup, John Turner, David Westrup, Julian Wilkins, Barry Wilkinson, David Wrigley and Nick Yates. For many of us, Rhum provided the opportunity for a reunion. Seventeen of us had been together on Gometra last year, and several of these had been on Raasay in 1960. Four of the officers had been on the original Rhum Expedition in 1959. 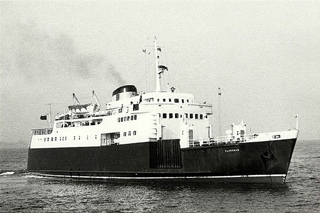 To have a nucleus of people so well trained in the life of a Hebridean Expedition was a consoling thought when we sailed from Mallaig, as we had just been informed by the crew of the Clansman that we were to be landed at Kinloch, some eight miles' trek from Shamhnan Insir—the site of our camp and the bay where we had arranged to be landed. The 48 hours which followed provided a tough experience for everybody. We all carried our own equipment to Shamhnan Insir and the Nature Conservancy very kindly transported the several tons of food, tents and equipment by Land Rover to Kilmory about 1½ miles from Shamhnan Insir. Later that first night the great "lift" began. Three of the ridge tents and the marquee 20 ft. x 40 ft. when erected and packed in two large bags (can we ever forget carrying it that 1½ miles? )—were put up, and later still some bread was brought through. By 1 a.m. the next day everyone was asleep of exhaustion. Four hours later we started again and, by 7 o'clock, the first of the calor gas and cooking equipment arrived. A hot drink the first for 24, and in some cases 36 hours was served. In warm weather the "lift" continued all that day with invaluable help from the dinghy. By evening we had nearly everything with us. No longer was it a question of the "experienced" and the "novices": for the great "lift" had welded us into a united whole. Samhnan Insir from Rubha Shamhnan Insir. © Copyright Russell Wills 24/05/2008 Not all our experiences were - thank goodness —as tough as this. If the sun had broken through more frequently, the tans only faintly achieved while playing cricket would have been more noticeable. Our activities were diverse. Although we were hampered by the non-arrival of the sailing dinghy we had hired (luckily we had also hired a small dinghy with an outboard), there was much else to do. The maintenance of the camp, and the cooking for forty-one people, was a full-time job for one section a day. Each section was given first aid training. 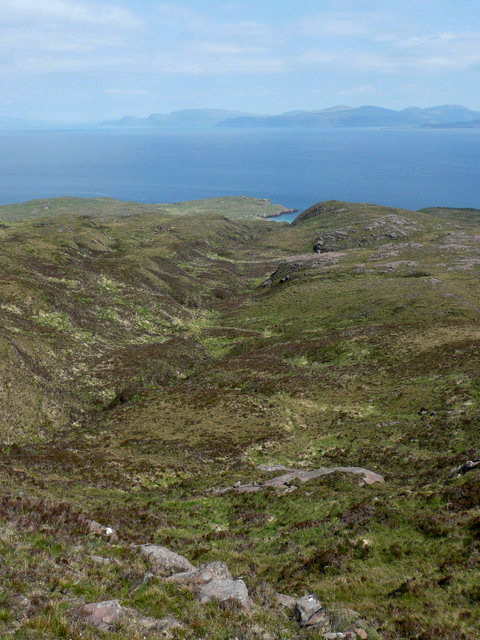 Climbing, whether on the rocks around the camp or on the mountains in the south of Rhum, was very popular. 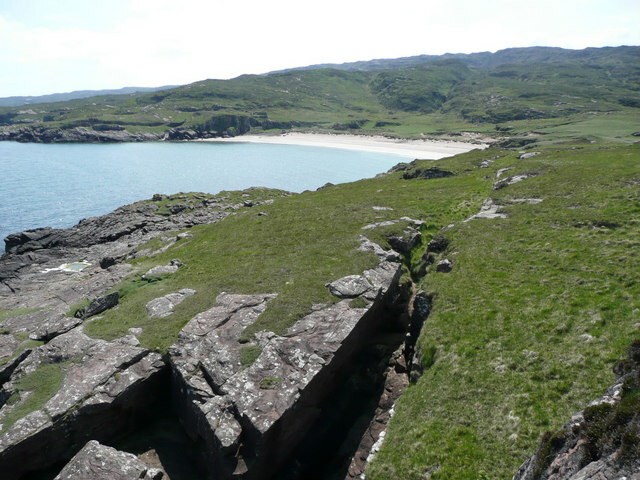 Cairns were built on the best route to Kilmory. Studies of the original settlements were made, and some china and an old scythe were dug from a ruin probably that of an early nineteenth century sheep farm. Fishing was attempted both in the loch and the sea. A most interesting trip was made around the south of the island, with the night being spent in Harris Lodge. We saw plenty of deer—and thoroughly enjoyed one in particular—a few wild goats, and also the wild ponies —said to be descendants of those rescued from a wrecked Armada ship in 1588. A golden eagle was seen over Papadil, and dolphins caused us some excitement in our own bay, to which seals were also frequent visitors. A couple of whales (of the bottle-nose variety) were seen at Harris one Sunday. I must also mention the party to end the expedition, when we played hosts to the islanders: surely it is a long time since Shamhnan Insir saw such a large or happy (!) crowd. We were pleased to receive visits from Peter Wormell, the Warden of the island, and Dr. Pat Lowe, who gave us talks about the island and the deer. Professor Miller of Glasgow University spent the last weekend with us, and Dr. Eggeling gave us a lecture on the Nature Conservancy. To them all we extend our thanks. To our great disappointment, the Bishop of Norwich unfortunately had to cancel his visit at the last moment. We are greatly indebted to the Nature Conservancy for allowing us to camp at Shamhnan Insir, thus enabling us to enjoy to the full the marvellous opportunities which Rhum offers to this type of expedition. All this was made possible by the work and enthusiasm of a very great number of people both before and during the expedition. The success of these camps depends on the whole hearted co-operation of everyone, and this was a lesson well learnt on Rhum. To all those concerned I give my sincere thanks for their help.